A new novel set in a different part of the Worldshaker world! 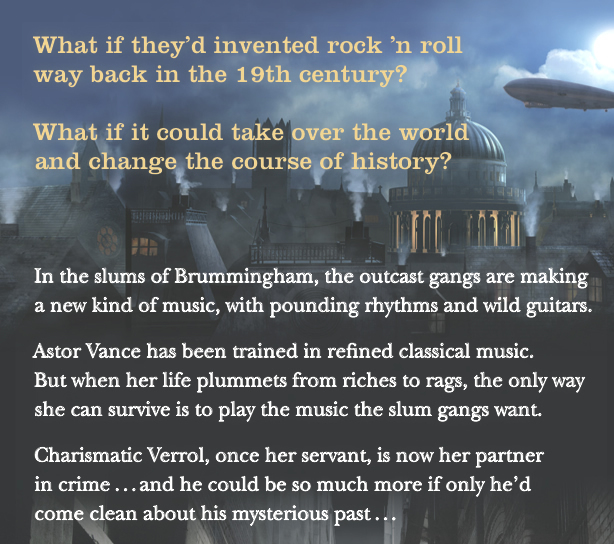 Same excitement and adventure, same steampunk setting, same imagination - and more romance! The Australian edition came out from Allen & Unwin in 2013. In all good bookshops, or order direct from http://www.allenandunwin.com, Booktopia, Bookworld and any Australian online retailer. Ebooks are available from Kindle, Kobo, Google and other ebook suppliers. "It’s 1846, in the middle of the Age of Steam. As well as locomotives and factories, there are steam-powered airships and strange velocipedes, all drowning in an endless sea of smog. King George IV is on the throne, the wealthy factory-owners are itching to seize power, and vicious bands of ex-soldiers can’t wait to start another world war. In this period, young women are supposed to be ladylike, and 17-year-old Astor expects a life of quiet luxury after she marries the handsome magnate Lorrain Swale. Instead, she finds herself abandoned in the Swale household and treated with contempt by the whole family. Help arrives in the form of the enigmatic Verrol. 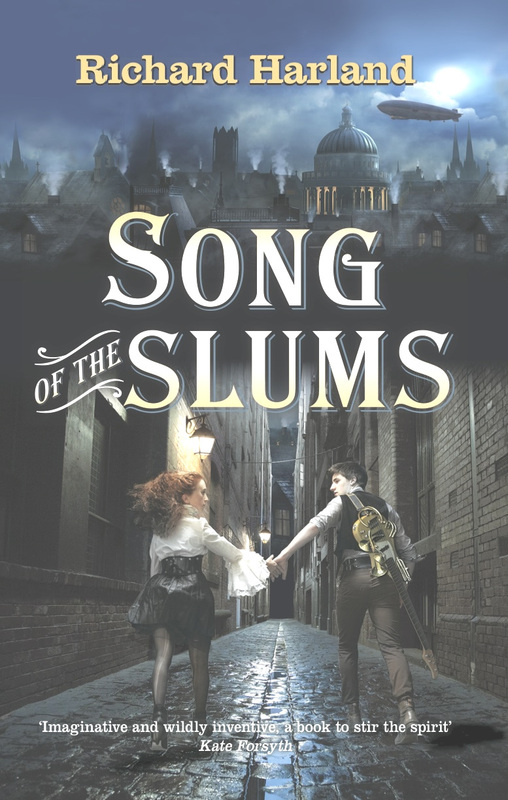 Together they escape and plunge into the murky slums of Brumming- ham, where they fall in with Granny’s Gang. Granny Rouse has a vision of a new kind of music taking the world by storm, and enlists them in her band, the Rowdies. Suddenly it’s all coming true . . . the irresistible gang-music rhythm is catching on, and fame is at their fingertips. However, the Swale family hasn’t finished with them yet. Arriving in London Town for their greatest-ever performance, the Rowdies get caught up in a diabolical plot to overthrow the government. Astor has come to a turning-point in history that is also a turning-point in her own life." 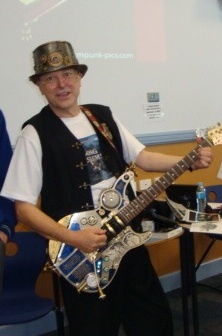 And just for fun, here's me with my steampunk guitar, to go with the novel! It really plays - now I just have to compose the songs to go with the song titles in the book!